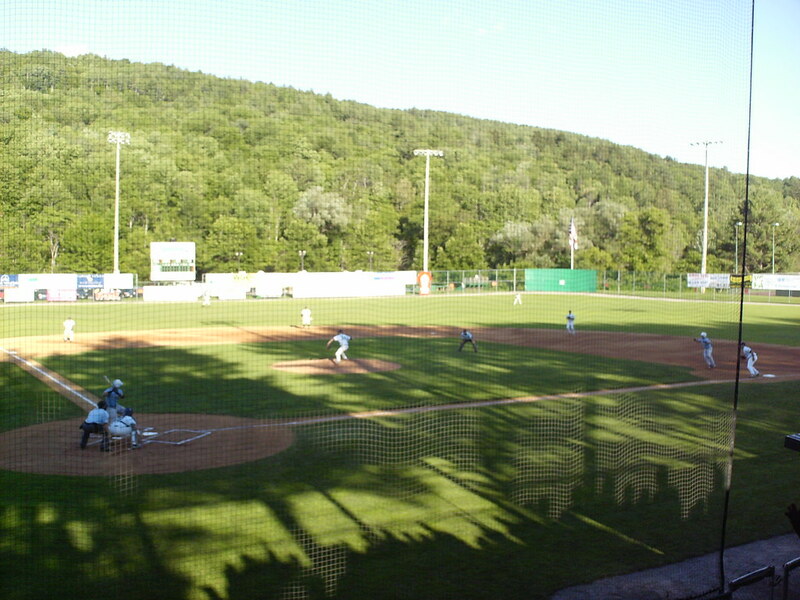 The view from behind home plate at Recreation Field. 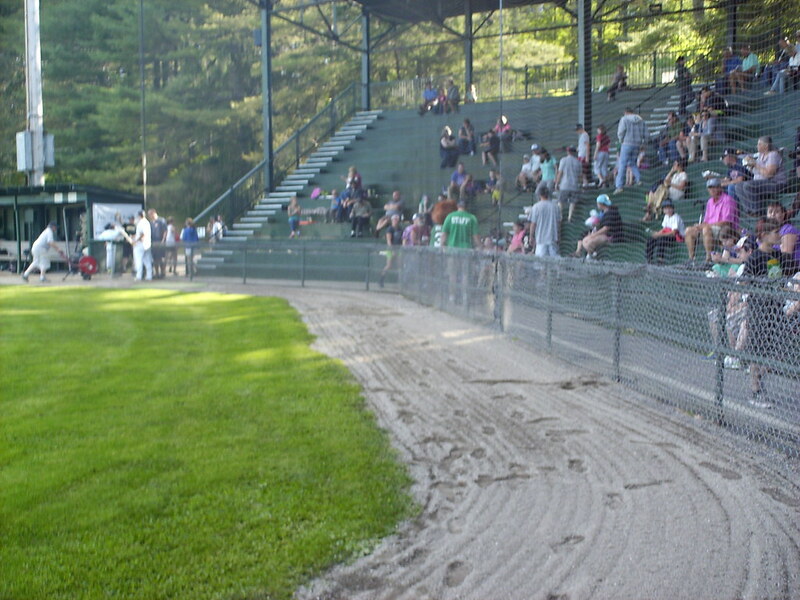 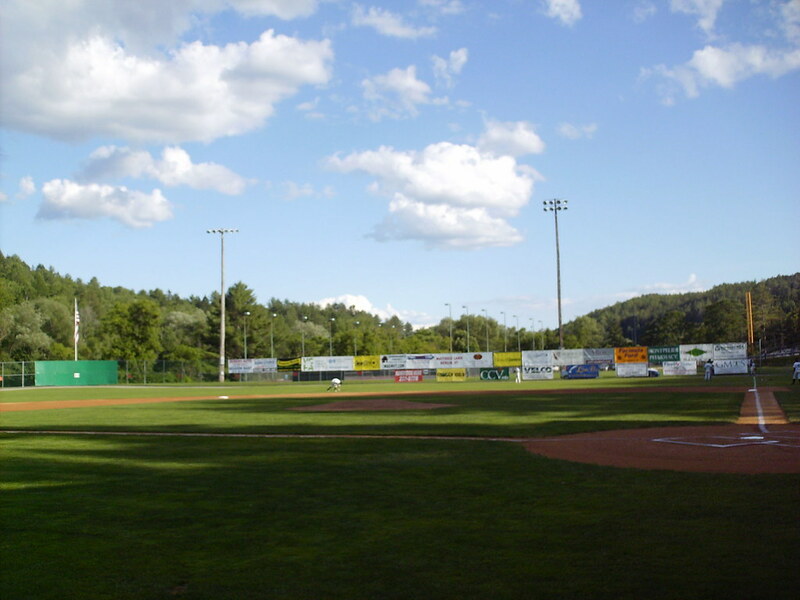 The grandstand at Recreation Field, as seen from the right field corner. 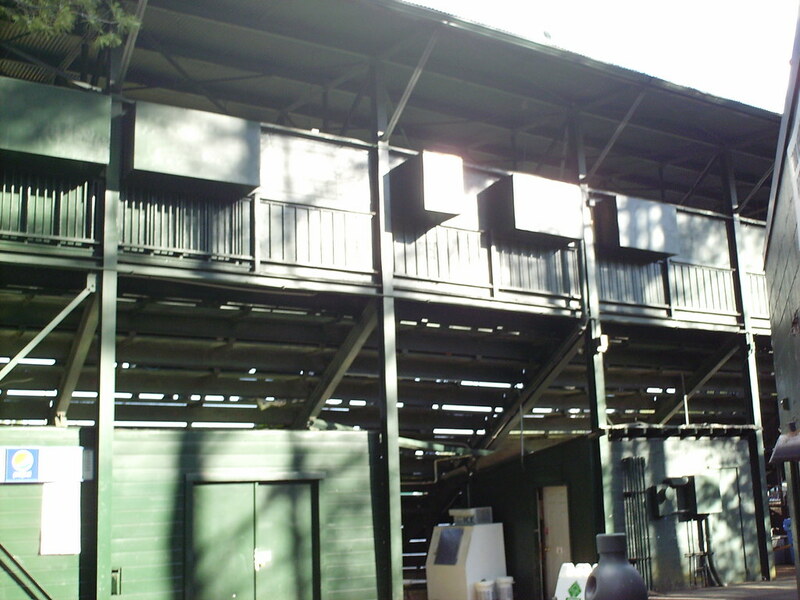 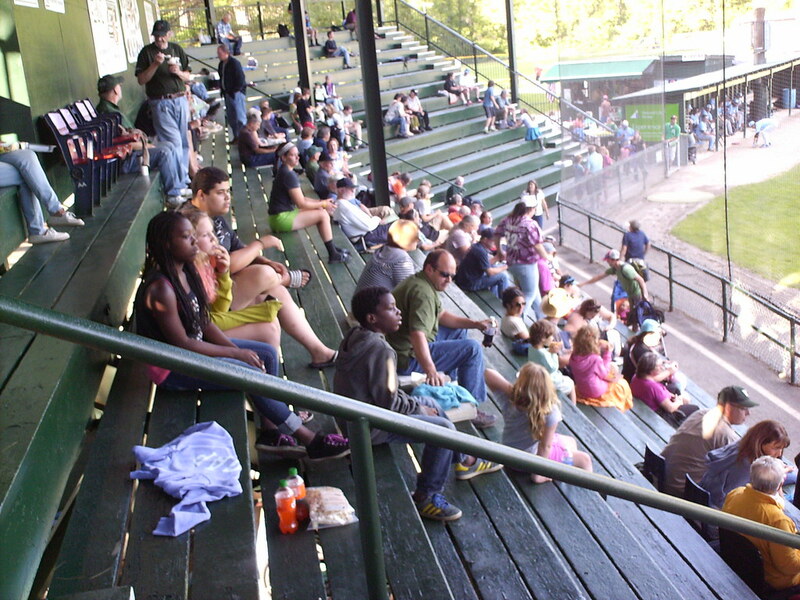 The plywood pressbox sits at the top of the wooden grandstand, which was built as a WPA project in 1940. 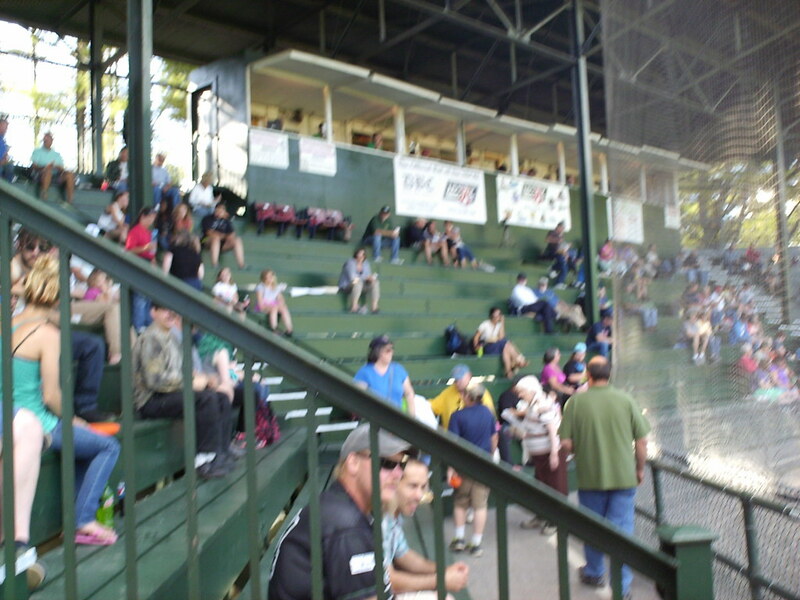 The grandstand features wooden benches on a steep grade, and 4 fold down chairs in front of the pressbox that were former housed at Fenway Park in Boston. 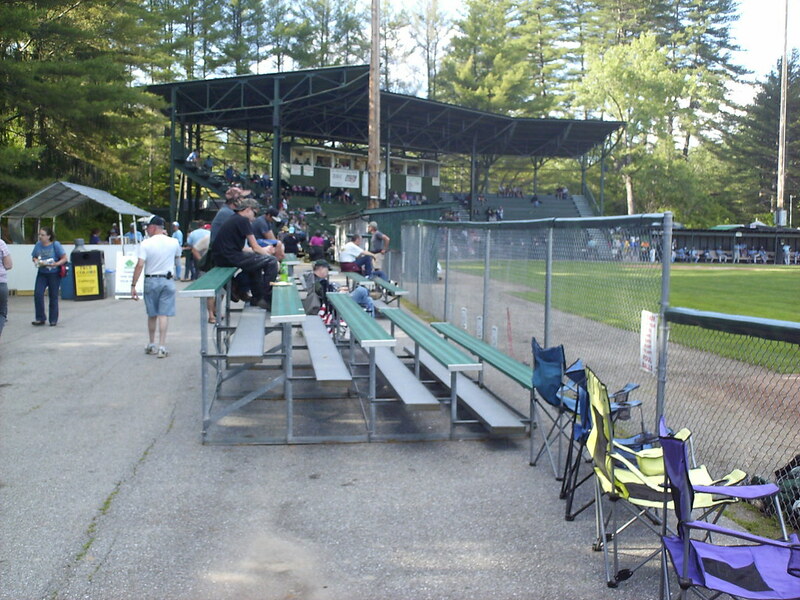 Small bleacher sections sit down the first base line, and fans bring their own chairs to set up around the park. 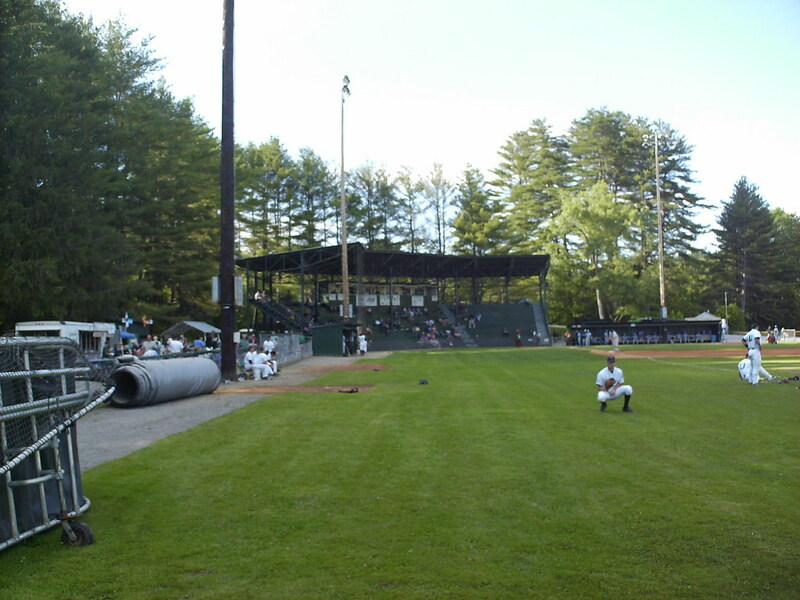 Fans can sit or stand behind the outfield fence, but the Mountaineers require everyone have a ticket to watch the game. 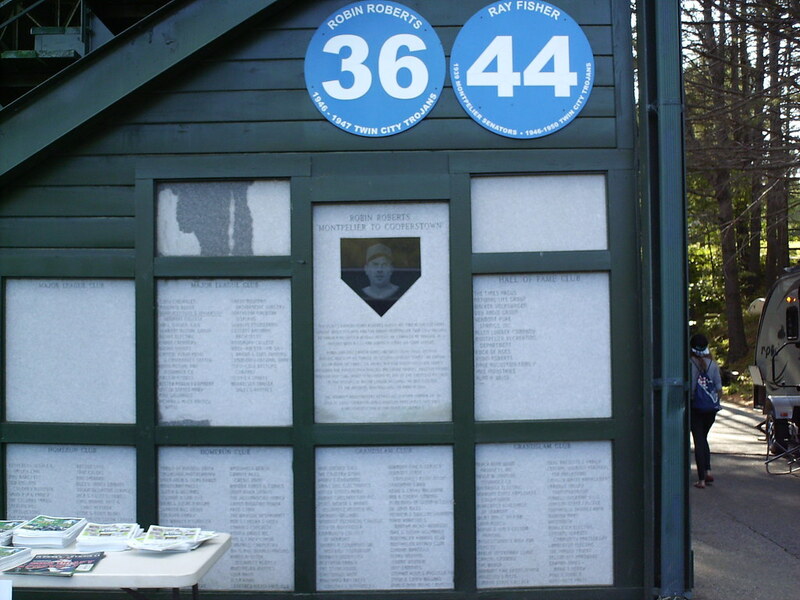 Plaques on the side of the grandstand celebrate the history of baseball in Montpelier, and Robin Roberts, the baseball Hall of Famer who played at Recreation Field. 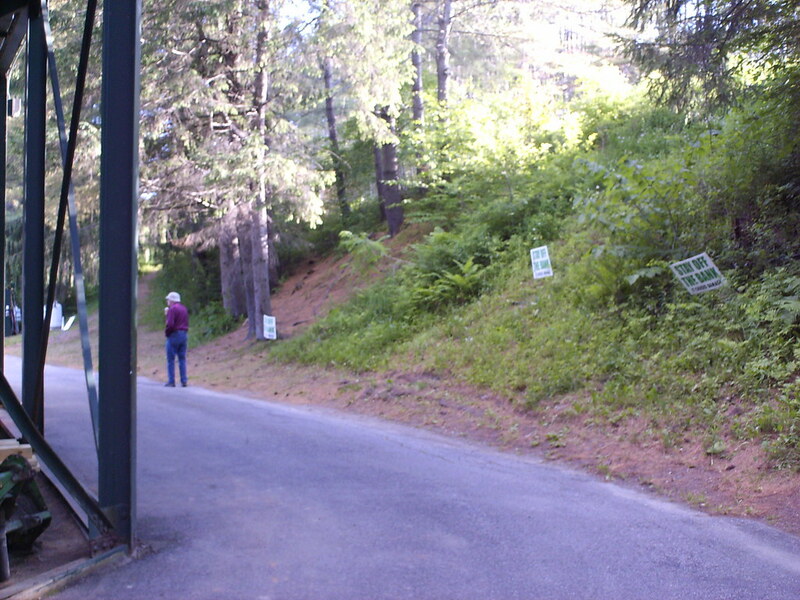 The concourse behind the grandstand runs right up against a wooded hillside. 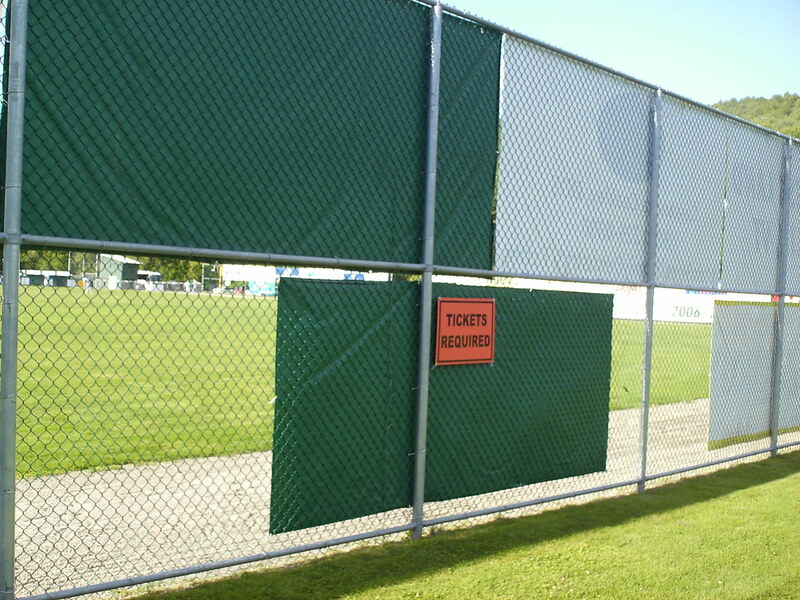 The wide backstop behind home plate features reinforced netting. 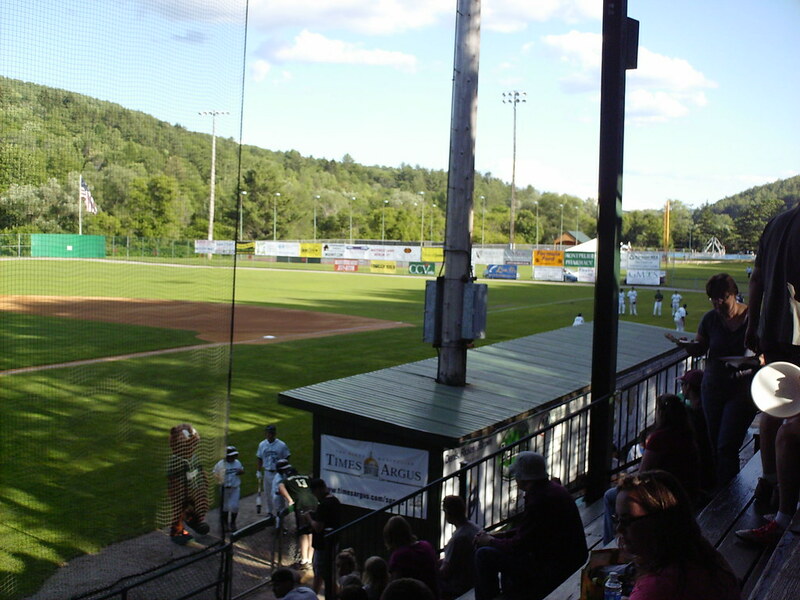 Light stanchions rise up through the roofs of the above ground dugouts. 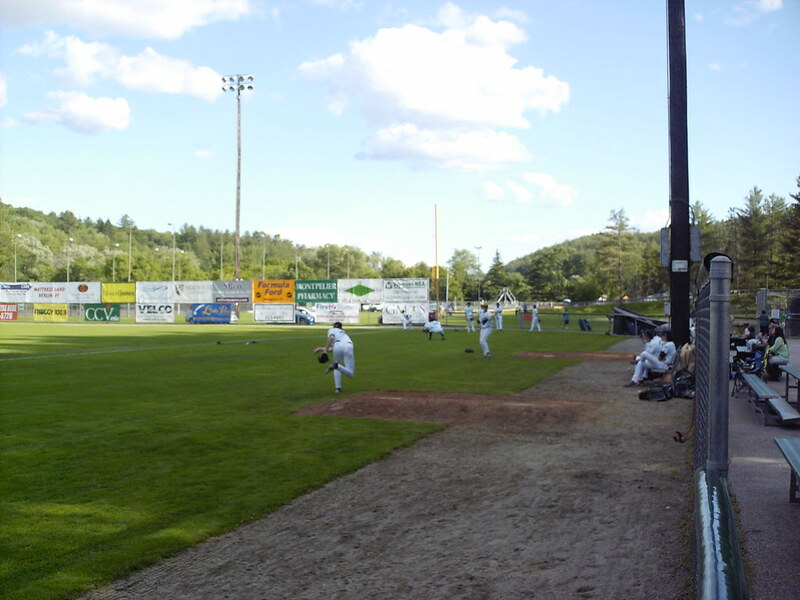 The bullpens are located in the incredibly large swaths of foul territory down each baseline. 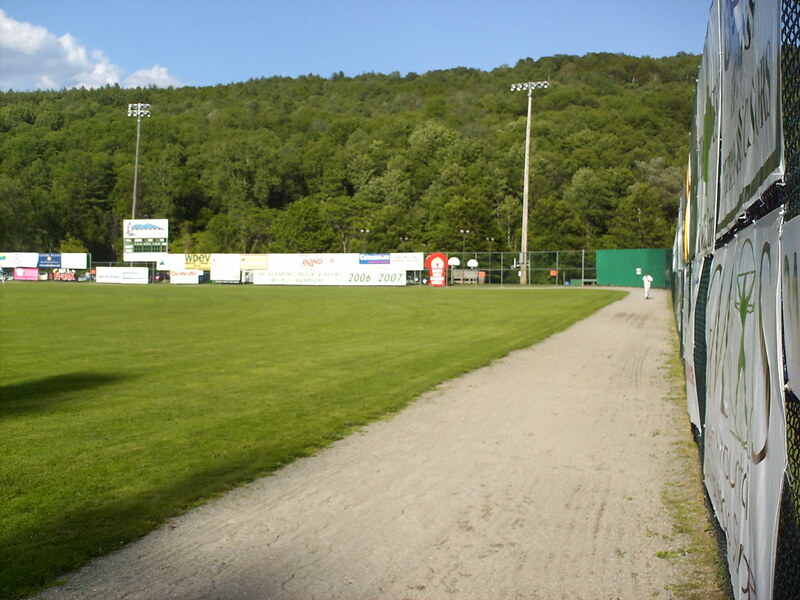 The large chain link outfield fence. 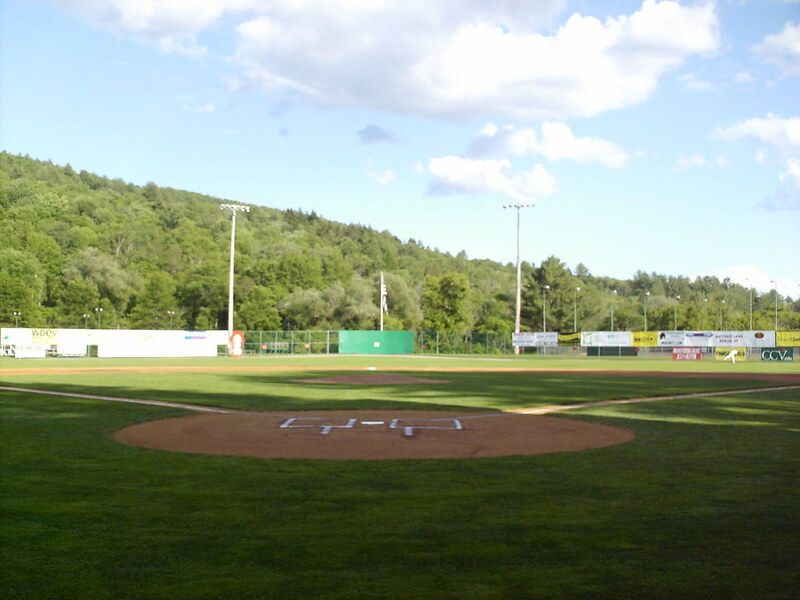 The walls are relatively close to the plate at the corners, and very deep in center field. 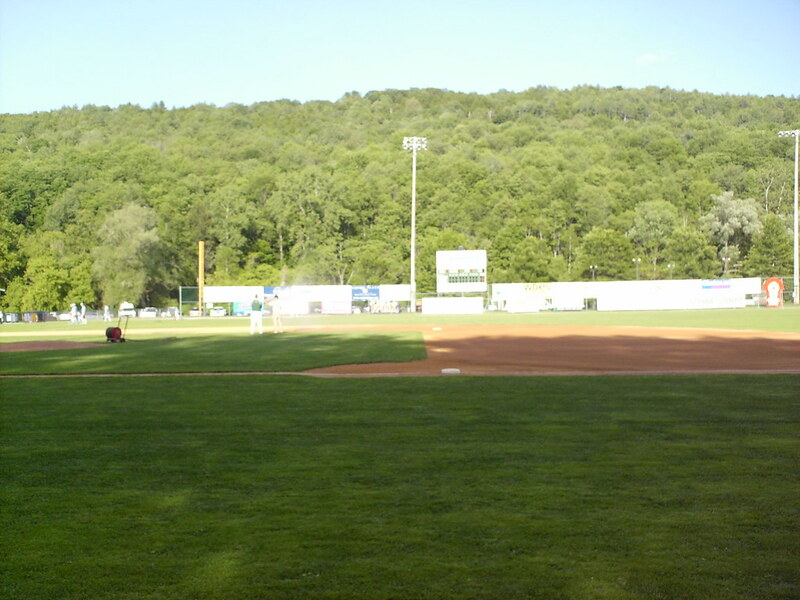 There is a small hill in play in the deepest part of center field. 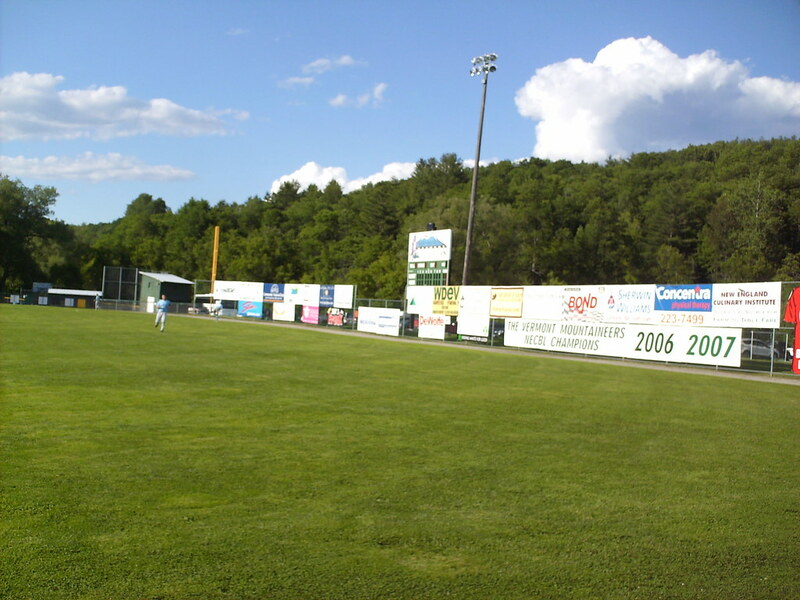 The scoreboard sits behind the fence in left field, and the wall is shorter directly in front of it. 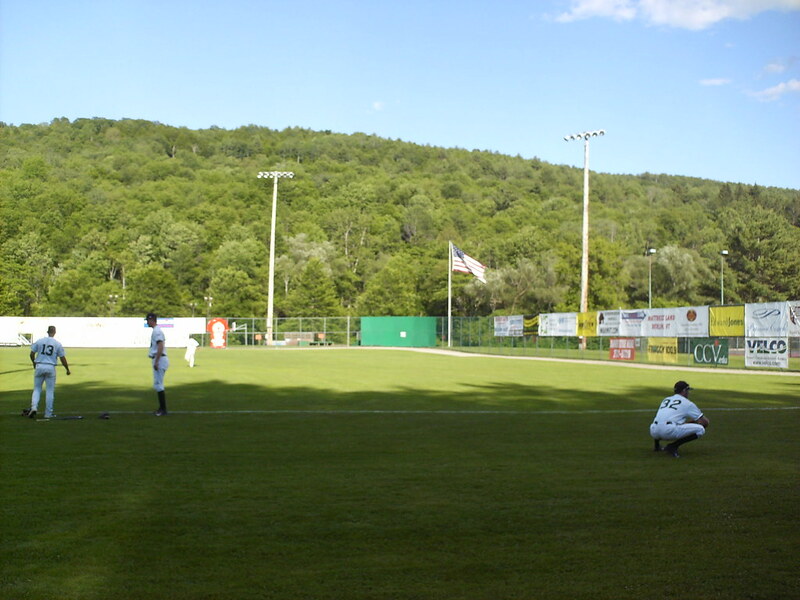 The Vermont Mountaineers on the field during a game at Montpelier Recreation Field.